warning: Creating default object from empty value in /home/willemsn/sproutingthebeans.com/modules/taxonomy/taxonomy.pages.inc on line 33. Educational section including tips for food-related activities, books, & gardening. Today was an ABSOLUTELY GORGEOUS day here! The kind of day you just want to soak up and stick away in your pocket. It was a day of picnics, walks, playground playin', and a two mile bike ride with 4 year old Skoogie holding her own with her 7 year old brother! 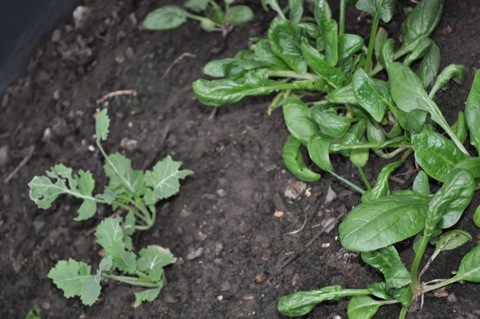 The spinach and kale we planted a few weeks ago in our cold frame is also loving the sun. On this BEAUTIFUL first day of Spring, we are enjoying the fresh scent of lavender and eucalyptus soaps made by Pete and the kids. 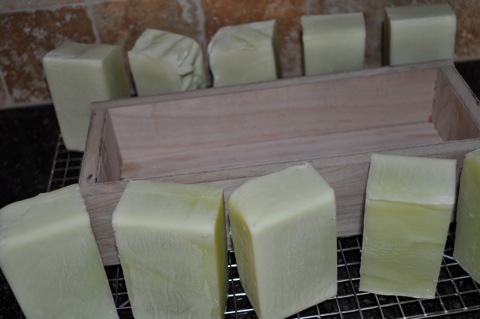 Both kids really got into measuring and helping build the wooden mold for the soap. Legos caught the attention of O, but Skoogie carried through the project, helping mix the materials and pouring the liquid soap into the mold. I'll also add that many of the photos in this post were taken by hers truly! I'm not biased or anything...but I think she has a special eye!!! We first had a version of these pancakes on a trip with good friends to the Grand Tetons in the Fall of 2002. Maybe it was the magic of the trip, but these pancakes have remained a favorite. We made them for my aunt and uncle at least seven years ago. Recently I received a message from my aunt saying how much she still loves the pancakes and munches on them throughout the day (the extra are great frozen as well). Pete’s dad, who never has been able to eat pancakes, even likes them. You have to give them a try! 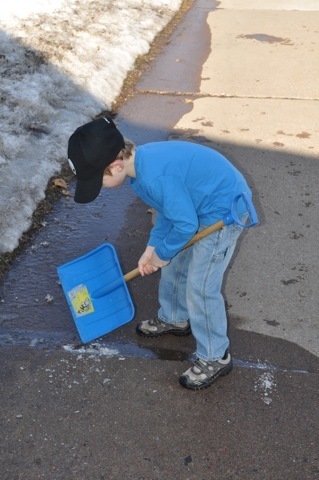 Today was a BEAUTIFUL day - sunshine, no wind, birds chirping, snow melting and no jackets required. Rather than writing a post, it was the kind of day for "sprouting" myself and the kids. 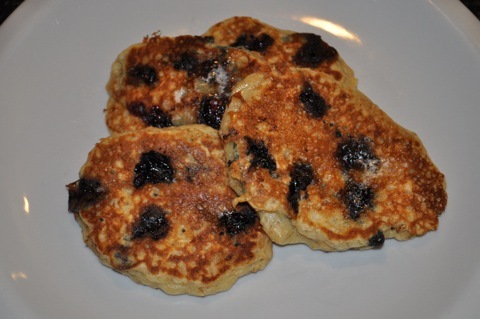 So stop back tomorrow when I share a recipe for Blueberry Oatmeal Pancakes. One more way to help get your daily fill of fruits and veggies. March is National Nutrition Month. Fruits and vegetables contain important vitamins, minerals, phytochemicals, and antioxidants and are usually low in calories. Eating plenty of vegetables and fruits can help you ward off heart disease, stroke, control blood pressure, prevent some types of cancer, protect against autoimmune diseases and depression, avoid intestinal ailments, as well as guard against cataract and macular degeneration, not to mention make you FEEL GOOD!!! 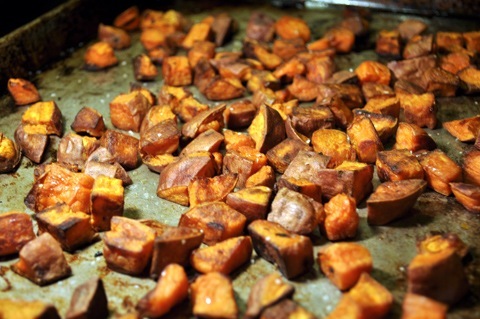 In today's post I've compiled many great ways to eat delicious fruits & veggies. With potential blizzard conditions coming tonight and tomorrow we are EXCITED about more snow. If we are going to have winter, let’s have some white stuff! 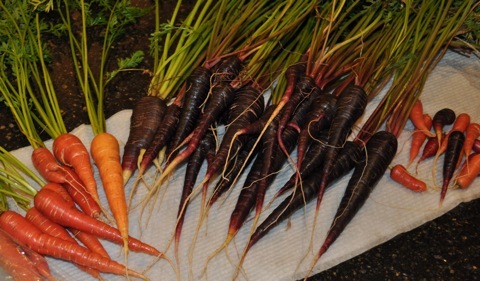 BUT it also is the time of year that we are dreaming about and planning our garden. 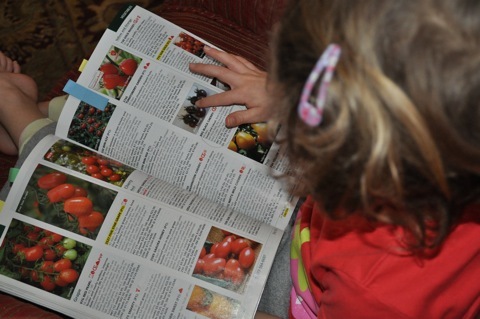 Last weekend we thumbed through our seed catalogs, picking produce to supplement our existing seed packets. We’ll start seedlings inside in the next couple of weeks—you need a jump start when you live in the Northland! This week the kids have their Winter Break. We just got back from a fun weekend of cross-country skiing. 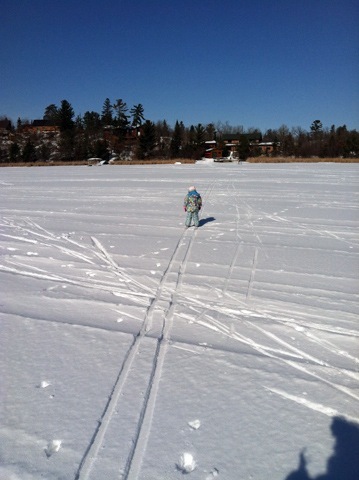 Both kids are trekking along on their skis and it is exciting to see! The rest of the week we have lots more adventures planned to sprout the beans. Growing up I never, not ever, liked warm cereal for breakfast!! I still don’t care for hot cereal that is mushy or the real sweet, instant stuff in a packet. 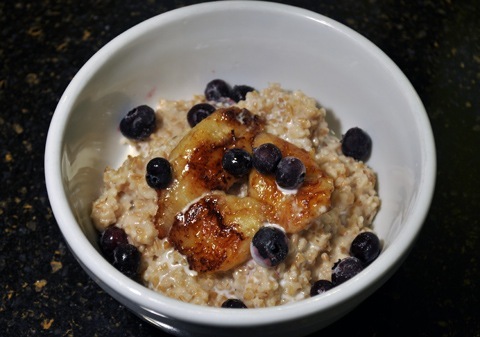 But I have found a new love for hot cereal that has a bit of texture! The other day Skoogie and I were playing restaurant. I was the waitress and she was ordering. As she was looking at the menu she asked for some white long things. I replied, “Would you like some French fries?” She replied, “Yes, French fries.” As I was getting the order ready, I thought to myself, should I be concerned that my four year old doesn’t know the word for French fries? Words don’t always come to Skoogie, so I’m always watchful of this kind of thing… but I decided… no it is okay. She knows beans, broccoli, carrots, cauliflower, Brussels sprouts, cabbage, corn, salad (for lettuce and other greens), kale, zucchini, beets, pumpkins, onions, garlic, peas, celery, tomatoes, potatoes and her favorite of all sweet potatoes. That’s quite a long list… it’s fine with me if French fries aren’t at the tip of her tongue! 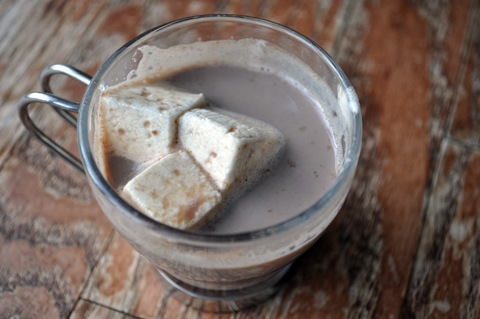 There is nothing like warming up with hot chocolate after skiing, skating, or playing on a winter day.